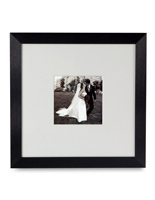 Decorators prefer using picture frames with mats to display images about the room, whether it be on the wall or on tabletops. 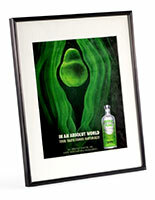 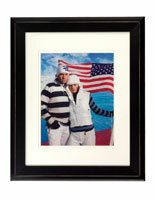 Using matted frames has both practical and aesthetic implications that make it a desireable way to display graphics. 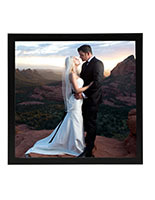 Mats are a slim material inserted into a picture frame to create a thick border around the primary object, essentially creating a wider frame. 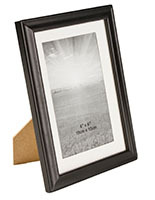 This extra border has decorative qualities, in that it draws the viewers focus onto the center of the intended visual. 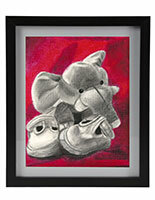 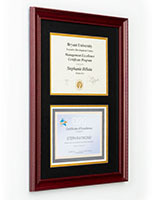 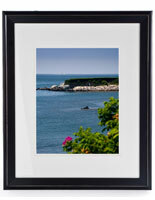 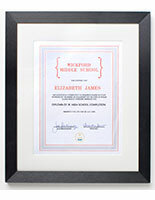 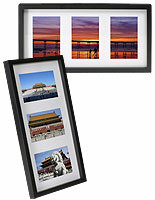 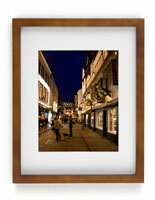 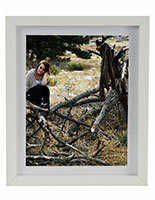 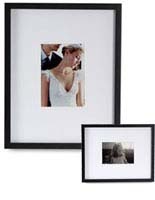 Matted frames often have slight inscriptions, carved angles and other decorations to complement the piece on display. 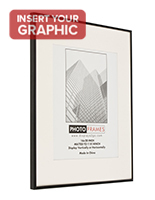 The mats also help to protect the photo or drawing by separating the glass from the art and shielding it from condensation or other damage. 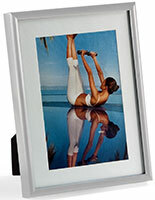 What are some other reasons people prefer picture frames with mats? 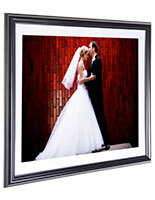 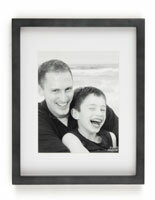 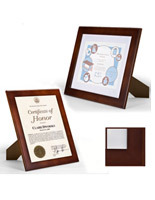 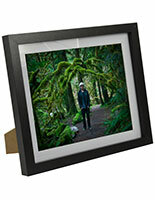 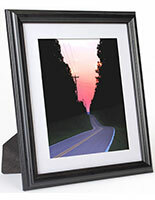 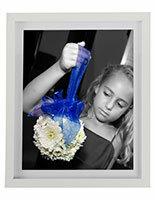 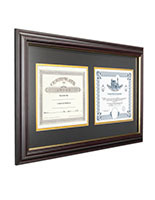 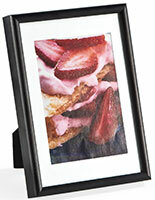 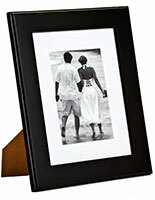 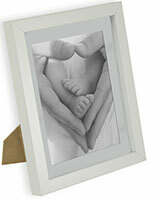 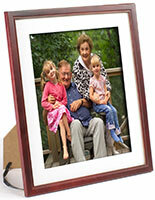 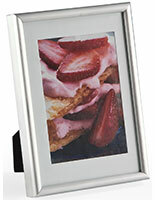 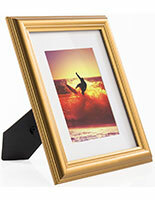 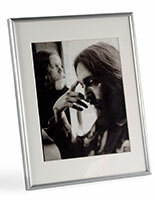 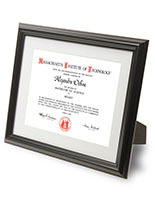 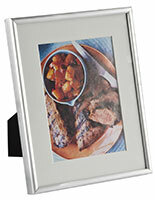 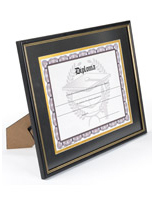 The picture frames with mats offered here are certain to meet both your standards of quality and affordability. 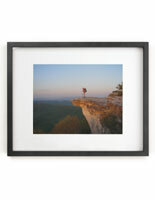 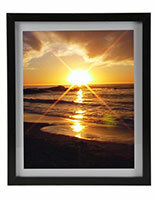 They are available in many sizes, from small 5x8 photos, to large 36x48 posters. 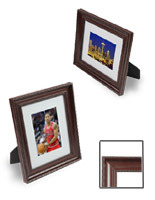 Many include easels for countertop or tabletop positioning, while others include mounting hardware to hang in a desired location on the wall. 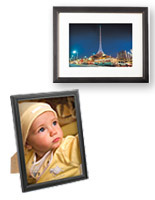 Choose between frames that are designed for landscape or portrait orientation, some frames include the necessary hardware that allows both. 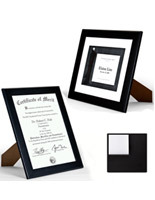 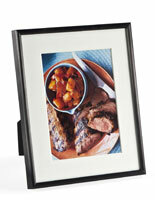 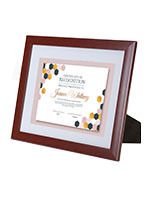 These frames come in a variety of colors that will both embellish and subserve the graphic. 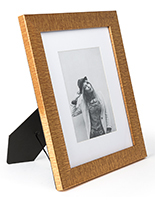 Silver, polished gold, satin gold and mahogany are just a few of the styles to choose from. 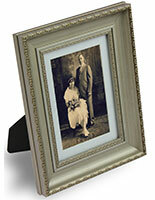 You'll also enjoy browsing the ornate designs, beveled edges and frame moldings. 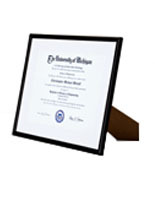 Whether you are hanging pictures or photos, graduation diplomas or other documents, there will be so many choices you'll have trouble deciding! 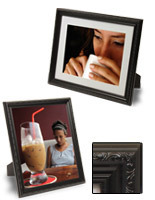 Happy shopping, and make sure to visit our entire selection of picture frames which includes digital, frameless glass, magnetic and more!